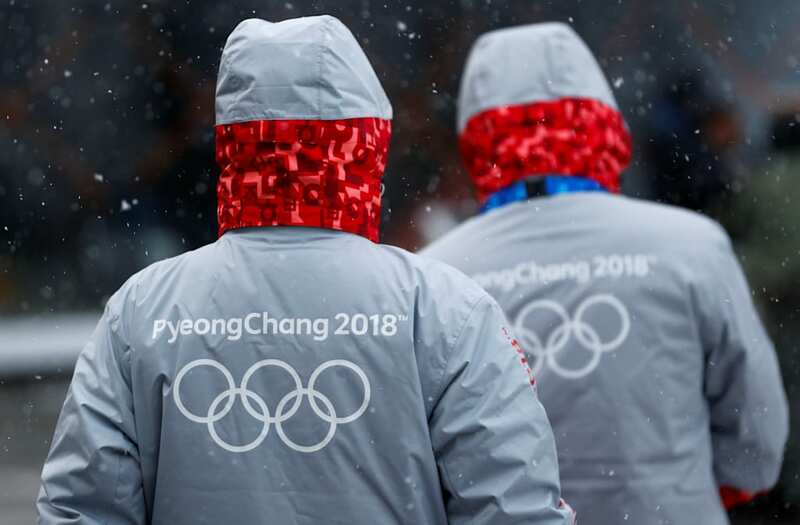 Along with being among the top athletes in their sports, certain 2018 Winter Olympians have already crafted lucrative sponsorships based on their previous achievements. Click through to find out who's taking their athletic talents from Pyeongchang to the bank. Considered by many to be arguably the most famous Team USA Winter Olympic athlete ever, Shaun White has become a household name. White has superstar status, and it has helped him score a pile of endorsements. White's most notable sponsorship is the board strapped to his feet. "The Flying Tomato" entered into a ten-year partnership deal with the snowboard company Burton in 2008, which at the time was the longest contract in the entire history of snowboarding. White's partnership with the brand even landed himself in the National Museum of American History in Washington D.C., with the Burton board that White road during his 2010 Winter X Games on display. With his trademark red hair and multiple Gold medals, it seems only fitting that Shaun White would have more than one signature endorsement. The food giant Kraft picked up the snowboarding giant's endorsement in the fall of 2011, using it to rebrand their struggling brand of chewing gum, Stride. White was featured in a number of commercials for the gum and even got his own signature flavor called "Whitemint" out of the deal. White was estimated to net at least $2 million annually for the endorsement deal. Another of White's most famous endorsement deals came from the energy drink that claims to "give you wings." Red Bull entered into an endorsement deal with White in 2007, according to ESPN, notably creating a personal half-pipe for the snowboarder, called Red Bull Project X. The deal was valued at more than $1 million annually, but it expired in 2011 after White's team of agents at Creative Artists Agency had reportedly been seeking a beverage deal worth at least three times that, according to ESPN. On the other side of the snowboarding world, 27-year-old Jamie Anderson has been shredding headlines since her first Olympic debut in the 2014 Sochi games. Anderson is gearing up to repeat her performance four years later in Pyeongchang — and her sponsors hope so too. No stranger to extreme sports endorsements, GoPro also added Anderson to their growing winter sports roster. The company featured her emphatic win at the 2016 World Championships of Snowboarding loud and proud on their website alongside signature footage of her stunts. As far as style on the slopes goes, Anderson is repping Oakley all the way. After she garnered herself a rousing endorsement deal from the winter sports brand, Anderson rides exclusively in Oakley gear — even giving Transworld Snowboarding an itemized rundown of her go-to outfit when she hits the slopes, which includes a $55 pair of mittens, fitting for rich and famous female athletes. She has also designed her own line of snow goggles for the brand as part of the Flight Deck XM line. Adding to her roster of endorsements is one from Monster Energy, another brand known for their involvement in the extreme sports circuit. Anderson is part of Monster's Snowboarding Team, proudly displaying them on her board and her helmet when she rides. Anderson joins a long list of fellow snowboarders sponsored by the brand, including Olympic contenders like Canada's Max Parrot. With another big performance at this year's games, this superstar could be looking at another Monster endorsement deal in her future. Possibly known as the most prominent female athlete in the winter sports world, Olympic gold medalist Lindsey Vonn is no stranger to the global stage. After being forced to sit out of the 2014 Sochi games due to injury, Vonn is eager to light up the slopes and represent the brands she is known for. Built with "modern cuts and bold colors," Vonn teamed up with sportswear company Under Armour to create her own signature collection of winter sportswear in late 2017. Vonn first became an Under Armour athlete all the way back in 2006. And still, over a decade later, she will continue to sport the brand when she hits the slopes in South Korea this February. As part of their "Every Rolex Tells a Story" campaign, watch manufacturer Rolex teamed up with Vonn to share her heartwarming comeback story after her devastating knee injury in 2013. Vonn was featured heavily in the campaign, showing her personal Day-Date 40 Rolex as a reminder that she can do "anything she sets her mind to." She became affiliated with Rolex in 2009, citing her excitement over the impressive Olympic deal during an interview with Elle. "When you get a Rolex sponsorship, that means that you have made it: You're timeless, you've transcended sport, and you're more of an icon than anything else," she said. Like many other influential winter sports athletes, Vonn was tapped by eyewear brand Oakley to come aboard. She even scored her own signature line of snow goggles under the Flight Deck XM line — joining fellow Olympian Jamie Anderson. In addition to Under Armour, Vonn will also be sponsored by Oakley as she heads into the 2018 games. Mikaela Shiffrin made a name for herself in Sochi after taking the record for youngest slalom champion in Olympic alpine skiing history at 18 years old, and now she's gearing up for a repeat in Pyeongchang. One of Shiffrin's biggest sponsors is Red Bull, who is certainly no stranger to the world of Olympians. The energy drink brand has posted a number of pieces and write-ups about the up and coming Olympian, highlighting her ride to the top — as well as her Olympic dreams. No stranger to the Olympics, Shiffrin's accolades helped her gain a number of notable endorsements. Longines — which has had a long and storied past with the sport of alpine skiing — even named her as the "Ambassador of Elegance" for the brand. The skier joined forces with French watch manufacturer Longines in 2014, after dominating in the slalom world at the 2014 Sochi games. In 2015, the brand even debuted a new television spot starring the skier, effectively making her the face of the brand — as if she wasn't already. In 2006, near the beginning of the Turin Winter Olympics, Dunkin' Donuts famously partnered with the U.S. Ski and Snowboard Association. According to a press release from the coffee giant, "snowboarding and skiing are demanding sports where athletes can benefit from the quick pick-me-up that Dunkin' Donuts Iced Coffee provides. Athletes like Lindsey love our iced coffee." Jacobellis effectively became the spokesperson for the ad campaign through the 2006 Torino games and was vocal about her enthusiasm for the partnership, saying that "a future world champion could be a few iced coffees away from finding their true love." Besides her skill on the slopes, Jacobellis is also known for her trademark set of curls. It was only natural for her to partner with haircare brand Paul Mitchell, helping promote their 2012 "Curl" campaign. She helped launch a line of products specifically designed for women with curly hair, as well as representing Team Paul Mitchell when she competes professionally — and that includes on the Olympic stage, too. Gus Kenworthy has made a name for himself in the action sports world, both for the tricks he lands on skis and for being the second openly gay athlete to compete in a Winter Olympics. As one of 50 Olympic and Paralympic athletes heading to the Pyeongchang games, Visa has firmly swung the spotlight onto Kenworthy's feats on the slopes. "I want to align myself with companies that stand for the same things I do," Kenworthy said in an interview with Visa. "It feels amazing to have a company as huge as Visa, one of the most recognizable worldwide brands, see value in me and want to support me. I think that as a gay athlete it's important and it says a lot about Visa, and it's an opportunity I'm really excited about." Kenworthy is making his return to the Olympics after landing himself a silver medal at the 2014 Sochi games. Energy drink giant Monster inked an endorsement deal with Kenworthy following his medal-winning performance in Sochi. As a member of Monster Energy's team for nearly four years, Kenworthy stands in good company with fellow Olympians at the Pyeongchang games who are also representing the brand during their quest for the gold. His sponsorship deal with the brand also helped to land him on Forbes' list of 30 under 30 athletes. Methodology: GOBankingRates sourced all of the mentioned athletes' net worth information from Celebrity Net Worth and based endorsement findings on publicly available information as of Jan. 24, 2018.